Hello, everyone! Long story short, I've had a part out thread (since 2015) in the marketplace but I've decided to separate the last parts I have into their appropriate categories for more visibility. Parts are available for shipping but I would prefer local pickup. The price listed is OBO and does NOT include shipping price. Everything is AS IS. Last edited by nitsuj; 04-16-2018 at 01:46 AM. Bump. All pm's replied to. 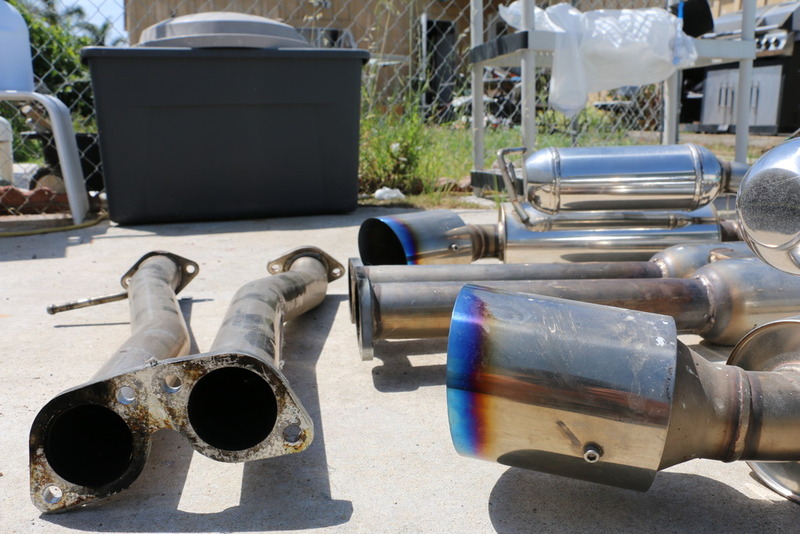 HKS is a great exhaust system creating a sound every G35 coupe owner will love with or without running factory cats. One suggestion, have a muffler shop do the installation and check the crossover making sure there isn't blockage within the pipes like a few have...easy to see! Blockage will cause major rasp because it's blocking exhaust flow from 20 to 40%! This is why many of us installed the Magnflow crossover pipe which started that trend! I'm -really- surprised this hasn't sold yet. 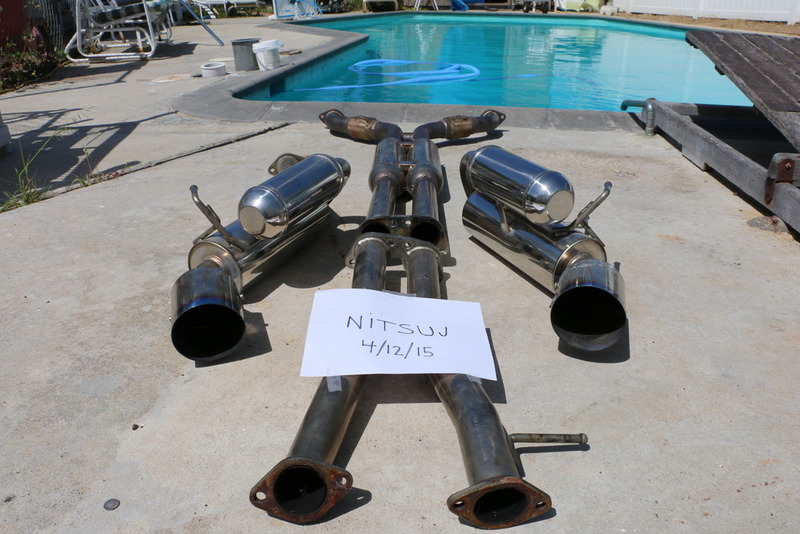 still for sale and will it fit a G35 sedan 07? 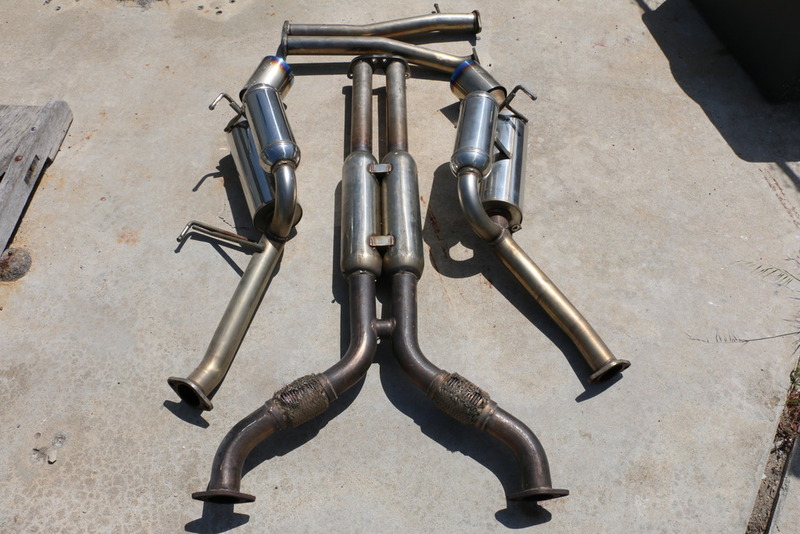 Pretty sure none of the dual exhaust systems fit the sedan. Honestly not sure if it will fit a sedan. Have been out of the game for a while now but from what I remember it is not a direct fit. Might have to do some research on that one. Someone might jump in and correct me but I think there's evaporative components under the passenger rear side of the sedan that prevents any dual exhaust systems from being used.